a collection of spinal nerves that travel through the lumbar cistern as they leave the vertebral column. The spinal cord is shorter than the vertebral column, which causes nerves that innervate the lower limbs to bundle together as they travel down through the vertebral column to leave at the appropriate level. 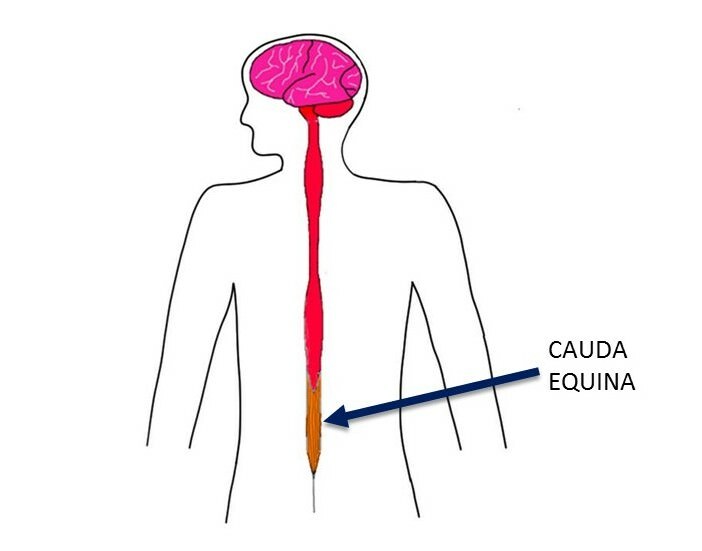 The bundling nerves resemble a "horse's tail," which in Latin is cauda equina.